Great post! I’ve heard of Boltanski and Chiapello and read their chapter on the new “management” spirit in one of my sociology classes. What I’m especially curious about are two kind of inter-related things. First, do B&C give a precise account as to “how” the critique peaked in ’68 in France and in Britain in the 70’s? I mean, why then? Why not ten years before or after? I’m really curious if they do give an account for this and, if they do, how they do it. I ask because, second, I find that materialistic accounts (Thomas Shannon’s World-System Theory, Ellen Meiksins Wood’s books) are much more compelling than Weberian “idea” analysis (which I find breaks down in the final analysis) and so I wanted to ask you if you also had this impression as I’ve seen in your reviews that you have also read some books with a more materialistic perspective. It’s an interesting question, and I think the answer is probably (unhelpfully) that “it’s more complicated than that”. Boltanski and Chiapello do not give a detailed chronological description of events leading to the events of 1968 or the irruption of Thatcherism in the UK. Their focus is very much on the development of the various strands of critique, which they separate into ‘artistic’ and ‘social’ segments, and the shifts in policy response. What underpins their description is the extent to which the initial response based on the (postwar) ‘second spirit’ of capitalism fail to address the critique, leading to a rising tide of dissatisfaction, eventual (near) revolution, and the development of a new ‘third spirit’ of capitalism. In this sense then it is based on ‘ideas’ rather than economics. Changes to the structure of the economy are important, but are not a mechanically determining factor. But what I think this is what is fascinating about Boltanski & Chiapello’s analysis is that they acknowledge that this is not a simple mechanical relationship, no simple base-superstructure (or vice versa) determination. The two things are rather linked dialectically. They interact and play off each other. As I said in my review, to me what they seem to be describing in specific detail is the hegemony described by Gramsci. I think this is entirely consistent with some the specific detailed analysis by Ellen Meiksins Wood for example. While they consciously reference Weber, it is the linking of this to a materialism that certainly makes it interesting – and convincing – to me. Perfectly clear, exactly what I was looking for, thanks! I guess I remain a bit skeptical about B&C’s analysis because I am looking for the indicators and conditions that enable some to be the “members who are able to express themselves most forcefully”; while I totally agree with the dialectical process of “base-superstructure” determination, B&C still seem to position themselves in a sociological tradition that interprets ideas as having power “in themselves”, for lack of a better expression (ontological? ), and not as vectors simultaneously conditioned by and occluding the material conditions ((non)ownership of capital and its many consequences). 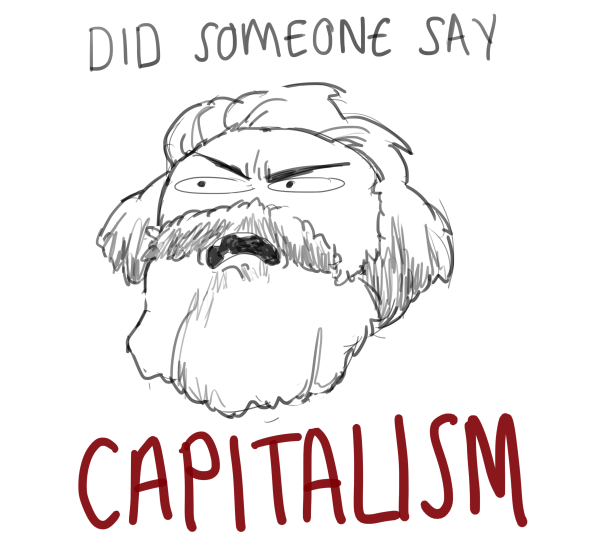 It feels to me that the Marxian concept of ideology can do more than to explain the mechanisms by which the mode of production is made legitimate, precisely because in this explanation there is an epistemological premise leading to the notion of praxis as Marx expounds it in the Theses on Feuerbach.